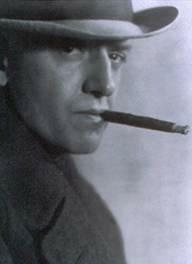 Vincent Starrett (1886-1974), also made Chicago home most of his life but had no such book budget. Restless and creative, he never finished high school and doggedly pursued a varied career as a writer, journalist, poet, bibliographer and essayist. Starrett collected books expertly on an erratic income derived from his writings, constantly facing financial demons and occasionally succumbing to them. He was forced to sell a number of collections during his life. The most famous was his first library of Sherlock Holmes material parted with in the early 1940s via Scribners and David Randall. However, bookmen are not stratified by income and Abel Berland’s thorough perusal of Starrett’s book indicates influence and a common bond. Berland would be one of many collectors of various stature inspired by Starrett and his writings. 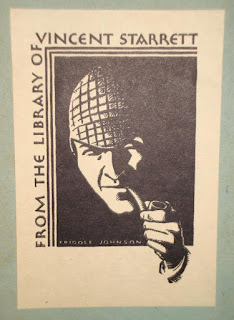 Starrett has been the subject of a number of essays and tributes, notably focusing on his reputation as a Sherlockian par excellence, foundational member of the Baker Street Irregulars, and as a respected mystery writer. He also authored an autobiography that I highly recommend, Born in a Bookshop: Chapters from the Chicago Renascence (1965). My particular focus on Starrett centers on his bibliophilic writings and book collecting. I’ve gathered a number of fine association items highlighting these key areas of his life. 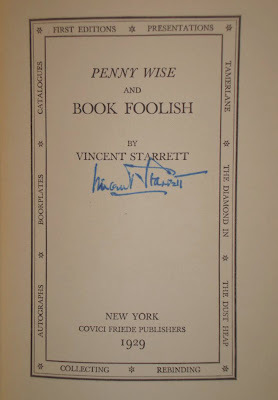 My earliest exposure to Starrett came in college when I read his first collection of bookish essays, Penny Wise and Book Foolish (1929). It wasn’t long after I read the book that I serendipitously discovered Starrett’s own annotated copy in Detering Book Gallery in Houston. The work contains the first book appearance of Starrett’s famous essay, “Have You a ‘Tamerlane’ in Your Attic?” Starrett tells the story in his autobiography, “My first contribution to the [Chicago Saturday Evening] Post made a considerable stir in the nation. . . In those days Tamerlane [Poe’s first book] was the outstanding rarity in the light of which all other rarities were appraised. I had been looking for a copy for a long time without success, naturally enough, since there were then only four copies known to exist in the world. It occurred to me that what was needed to call the elusive item out of hiding was plenty of publicity, so I tried the provocative piece on the Post first and it sold the first time out. 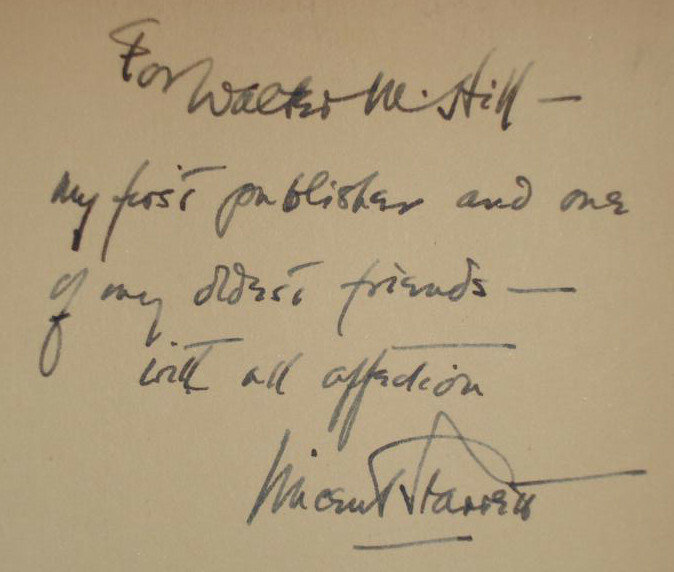 It may be found in my Penny Wise and Book Foolish (1929) precisely as it appeared before the Post’s enormous public. To say that it attracted attention is putting it mildly. The editors of the Post forwarded me literally hundreds of letters from excited householders who had turned out their attics in quest of the book. This interest did not, of course, represent anybody’s interest in Poe’s second-rate poem, but in something worth ten thousand dollars, the figure I had named as standing for the book’s collector value. . .
Starrett’s collections of essays and long running newspaper book columns didn’t simply spring afresh from his fertile imagination—they were seasoned by his extensive book experiences. He was born a bookman, or almost so, his earliest memories imbedded with images of his grandfather’s bookstore in Toronto. He was always an omnivorous reader. His father, a bookkeeper by trade and amateur boxer in his youth, moved the family to Chicago when Starrett was four years old. From his earliest days Starrett was addicted to used and rare bookshops and in the first couple of decades of the 20th century Chicago offered many opportunities for a fix. 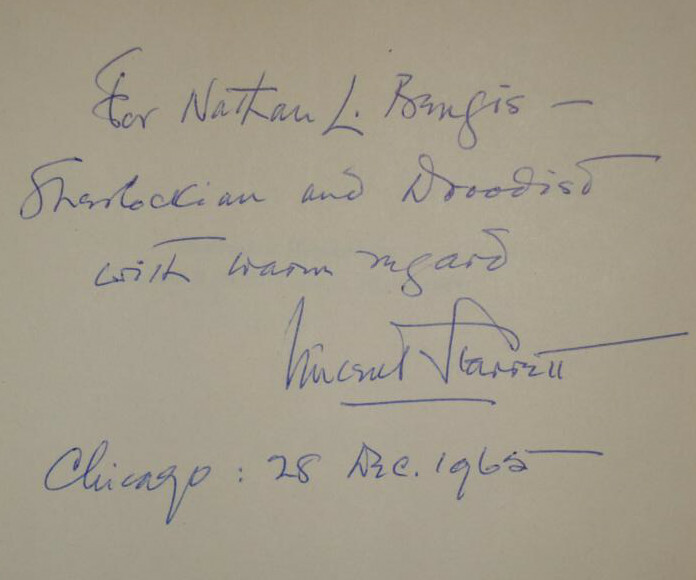 So, with this knowledge filed away in my head I was particularly excited to find Starrett’s first book, Arthur Machen: A Novelist of Ecstasy and Sin (Chicago: Walter M. Hill, 1918), inscribed to Morris! 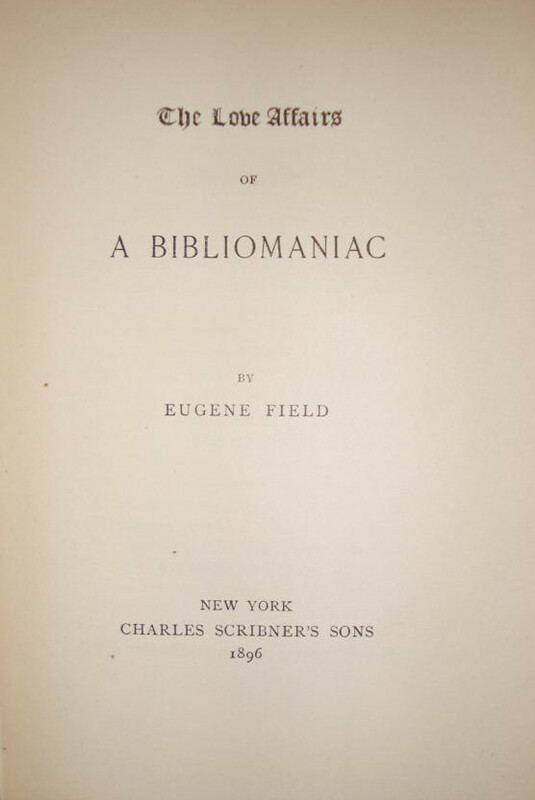 "With the cordial regard of his friend and perennial debtor"
You will note that the book is published by the other prominent bookseller mentioned, Walter M. Hill (1868-1952). 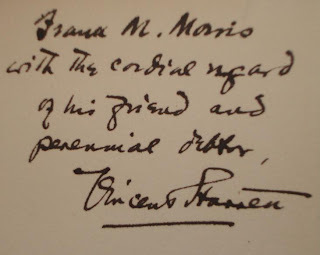 He also published additional works by Starrett including the bibliography of Ambrose Bierce (1920), Rhymes for Collectors (1921), Banners in the Dawn (1922), and numerous privately printed editions of Christmas mementos. 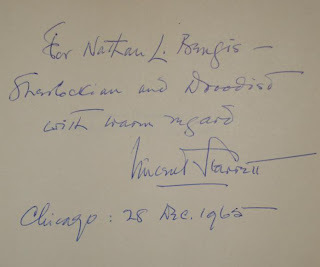 Hill was Chicago’s preeminent rare book dealer, ranking with George D. Smith, A. S. W. Rosenbach, Gabriel Wells and a handful of others during the early part of the 20th century. 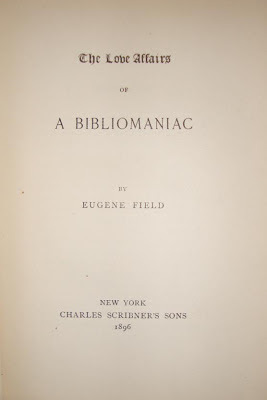 Starrett records, “[Hill] was an Englishman who had lived in America for many years and, when I knew him, was already one of the famous booksellers of America. A dozen millionaires were among his regular customers, and his attractive quarters were bursting with such rarities as millionaire collectors like to acquire. He was a courtly, handsome man, white-haired and dignified, who in moments of enthusiasm lapsed into pure Cockney. It was in his wonderful establishment that I first saw and handled the great books of the world in their costliest form, in the editions in which they first had made their appearance among men. He was a generous man, and what I learned from him about books is beyond my ability to assess. 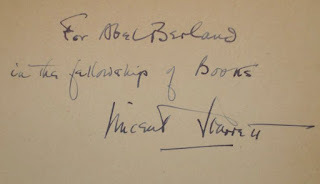 As already noted, he was my first publisher; and for years afterward he continued to bring out little books of mine in limited editions, usually at Christmas, when we could dispose of the volumes among our friends without pain or profit to anybody. 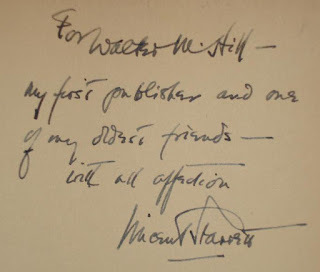 "My first publisher and one of my oldest friends"
Starrett’s network of book and literary contacts in Chicago spread like a spider web over the city. Two friends were William “Billy” McGee and Pascal Covici. The men opened a small bookshop in Chicago that soon became a literary mecca for writers and bookmen. Both were regulars along with Starrett at the famous literary Round Table luncheons at Scholgl’s restaurant starting around 1920. They published a number of books under the Covici-McGee imprint including three by Starrett. 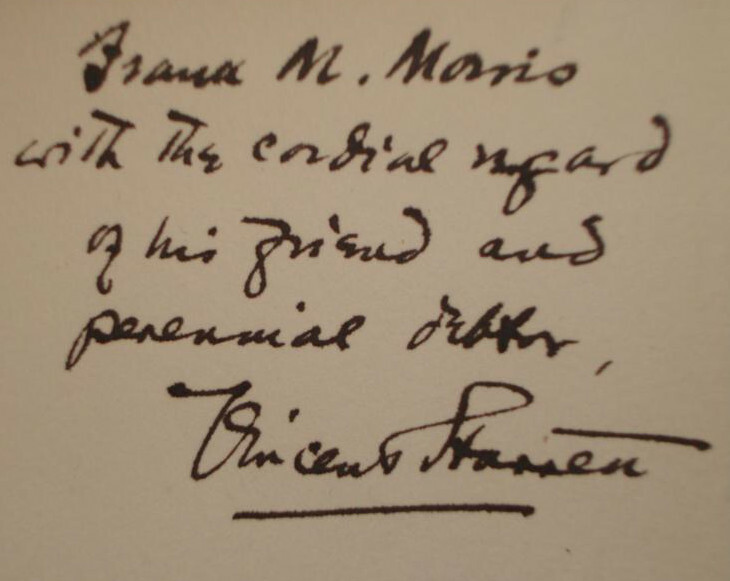 Starrett writes in Born in a Bookshop, “Pascal Covici, I have no hesitation in saying, was one of the most important figures of the Chicago movement during the nineteen-twenties. . . Covici published Ben Hecht, Wallace Smith, and a string of peculiarly twentyish figures, including Maxwell Bodenheim, Stanislaus Szukalski, and an ambitious young rebel or reactionary (he never knew which) named Vincent Starrett. 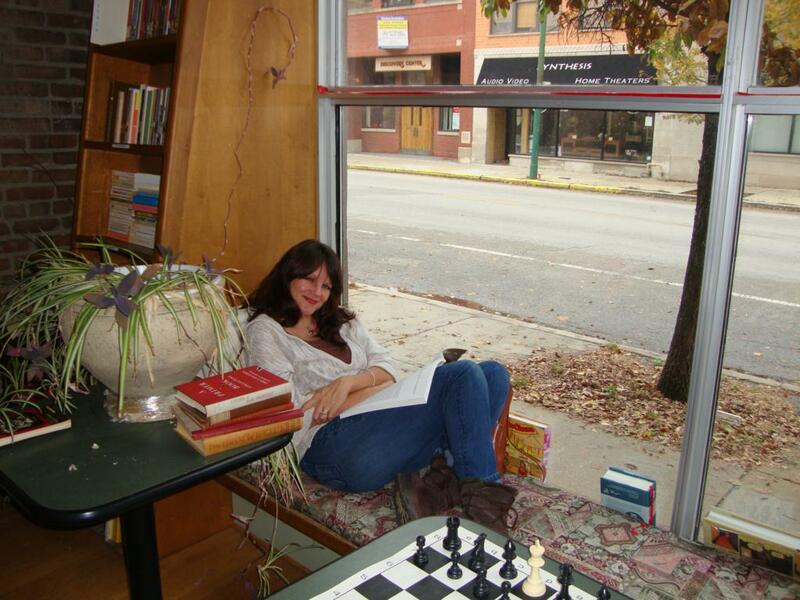 “He and William F. (Billy) McGee, a former Roman Catholic priest, had opened a small shop. . . Almost at once it became the headquarters of many of the bright young men of the movement . . . for some years the small, somewhat disorderly bookshop was the liveliest den of literature in the city. Not to be secret about it, I did a lot of unnecessary hanging out there myself. . . . 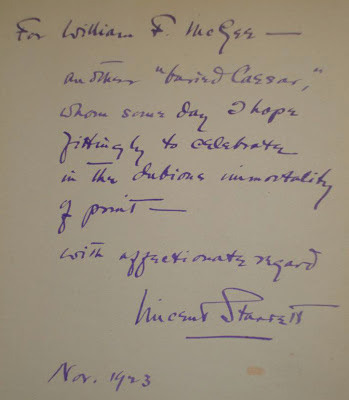 The most significant book of Starrett’s published by Covici and McGee was Buried Caesars (1923), a collection of insightful and at times prescient essays about then neglected literary figures including Arthur Machen, Ambrose Bierce, Stephen Crane, James Branch Cabell, Anna Sewell, and others. 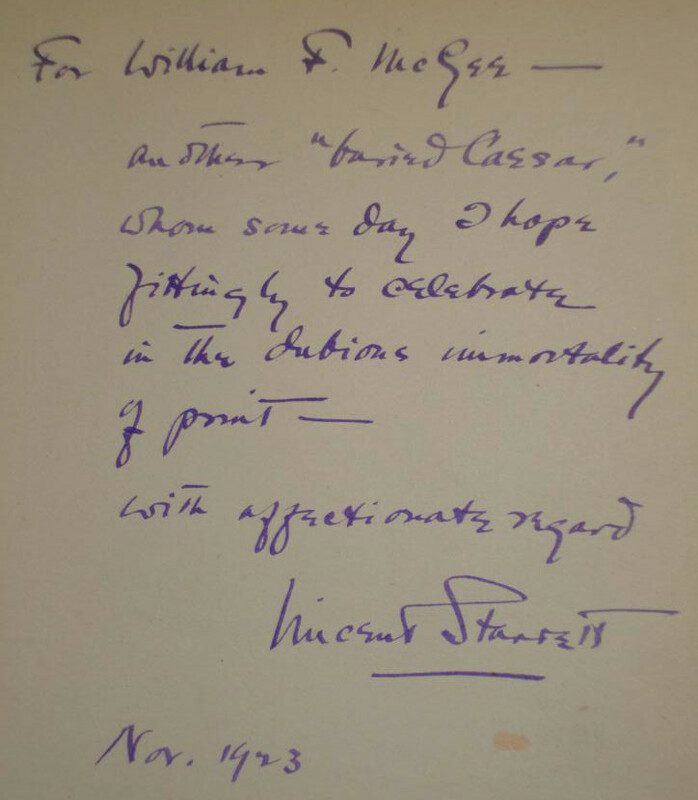 Here is the inscription in the copy I found just in the last year. The story referred to in the letter was published by Abramson in the February-March 1938 issue of Reading and Collecting, his short-lived collecting magazine, under the title, “Conversation on a Desert Island.” The main character and his great aunt are stranded on a desert island and discuss in humorous fashion what books they would have brought along with them, given the chance. Morley is gently poked fun at when defining an example of a “man of letters.” Abramson would later publish Starrett’s collection of essays, Books and Bipeds (1947). The book is represented in my collection by two appealing copies. 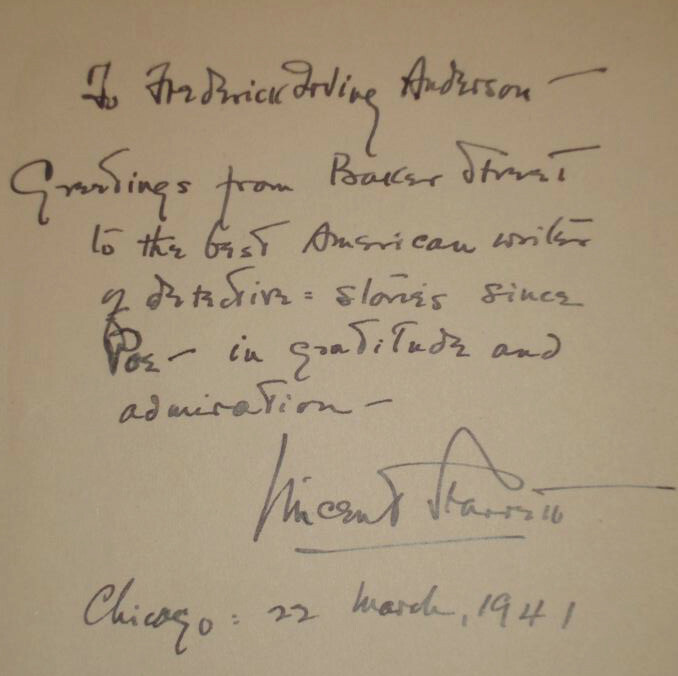 The first is the original 1933 edition in jacket inscribed to fellow writer Frederick Irving Anderson. 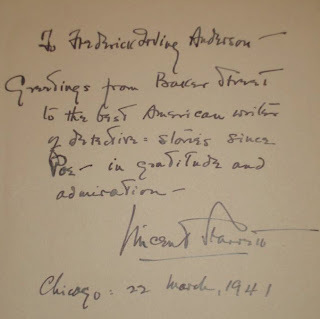 "To the best American writer of detective stories since Poe"
Frederick Irving Anderson (1877-1947) is best known for his stories featuring the detective Deputy Parr first published in The Saturday Evening Post during the 1920s and collected as The Book of Murder (1930). The book is a Queen’s Quorum title, a distinction shared with Starrett’s Sherlock Holmes pastiche The Unique Hamlet (1920). 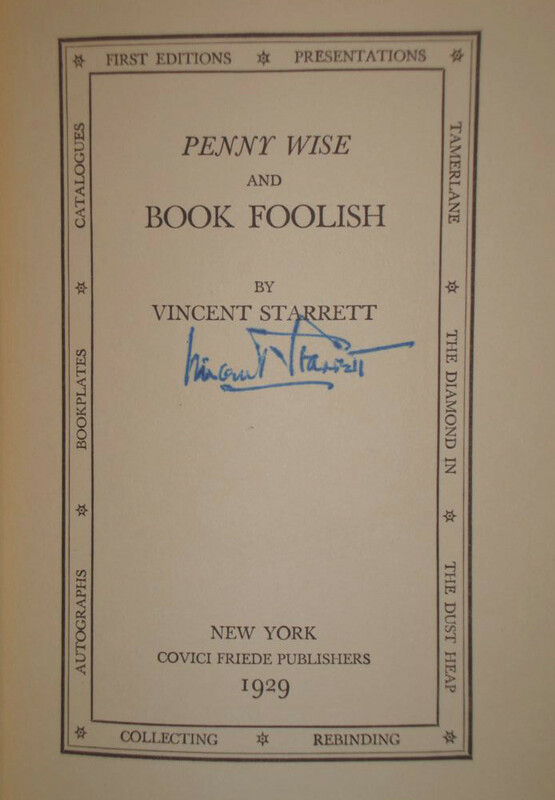 The second example is Starrett’s own copy of the first English edition, 1934, with his bookplate, signature, and scattered annotations. A mighty association copy indeed and a particular treasure to me. The U.S. edition precedes but the first English edition carries a special cache because of the subject. Throughout I have quoted liberally from Starrett’s fine autobiography Born in a Bookshop. I have a well used reference copy but found it difficult to locate an interesting association example, something that irritated me, frankly, and redoubled my efforts. You can’t force such things, however, so I fished patiently and not long ago landed a worthy catch. This example is inscribed to Nathan L. Bengis. Bengis (1906-1979) was long-time friend of Starrett, collector, bibliographer and prominent fellow Baker Street Irregular. The Starrett archive at the University of Minnesota records correspondence between the two spanning five decades, 1925-1966. Bengis’s Doyle collection was acquired by the Toronto Public Library to supplement their extensive Arthur Conan Doyle holdings. If you have made it this far, you’ve been submerged in the book world of Starrett and the glorious book days of old Chicago for quite some time. You may surface now--hopefully your tank didn’t run out of air—and I encourage you to pursue further independent expeditions. For me, I am back at Powell’s Book Store, Nicole remains seated comfortably on the window ledge reading, I’m getting hungry for deep dish pizza, but I’m still scouting the books about books section pretty hard. Hosanna! 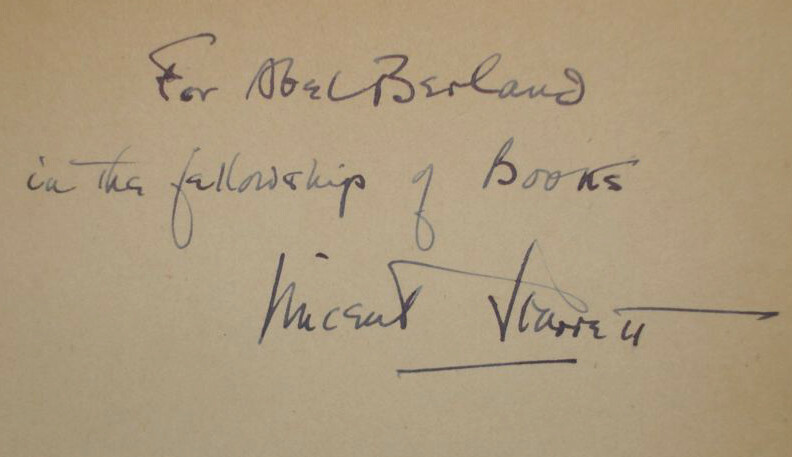 I find a second Starrett book inscribed to Abel Berland. . . . The day evolves into a memorable one and the friendly ghosts of bookmen past mingle about me as I reach for another volume.